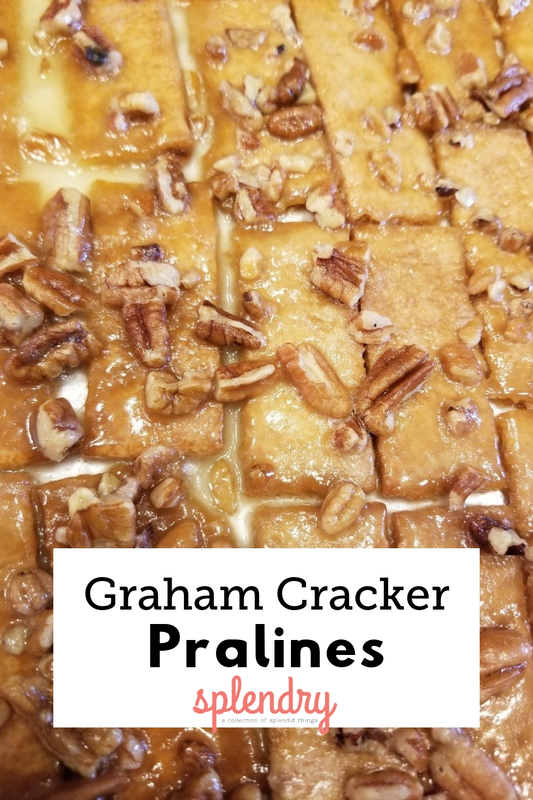 Graham Cracker Pralines are one of my favorite desserts to make. They are pretty easy, are so tasty and I bet you can’t have just one! They are always a hit when I make them for a crowd too. 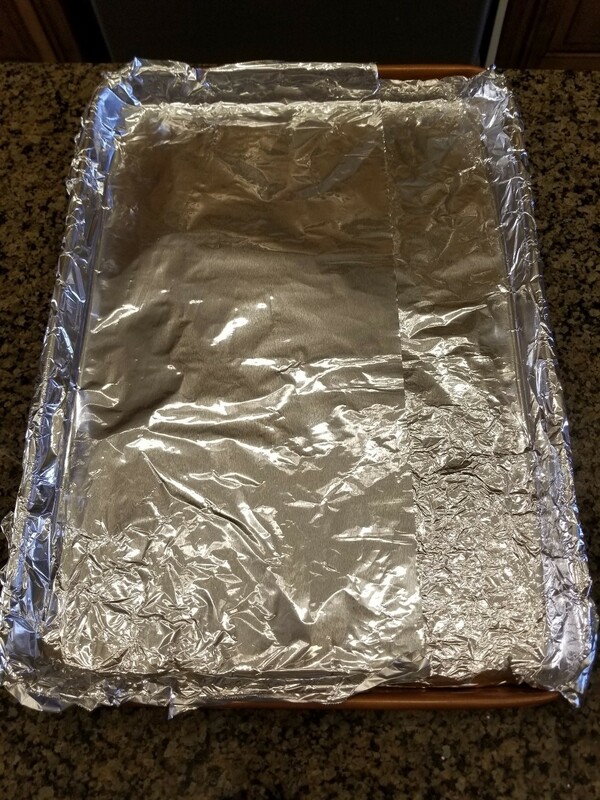 First, covered a baking sheet with aluminum foil. This are delicious but can be sticky and a mess so this makes clean up so much easier. 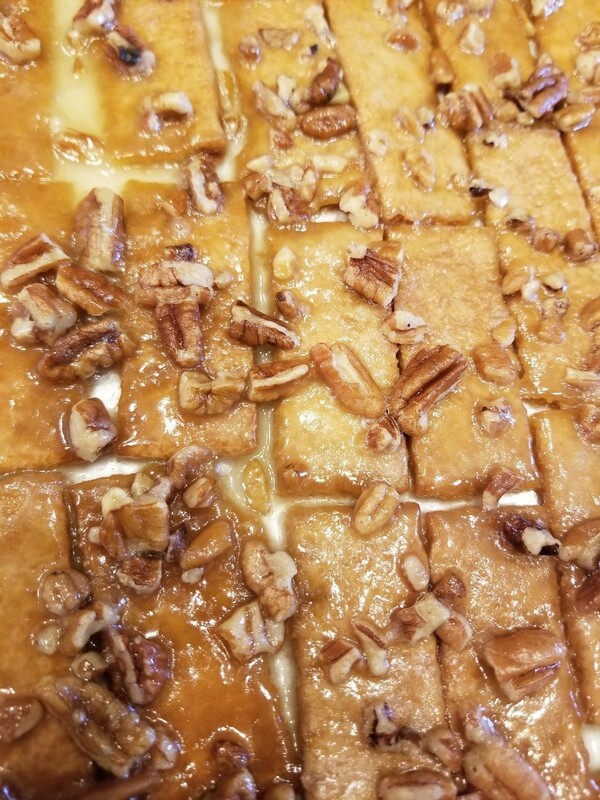 Break the graham crackers into single rectangles and make one layer on the baking sheet. 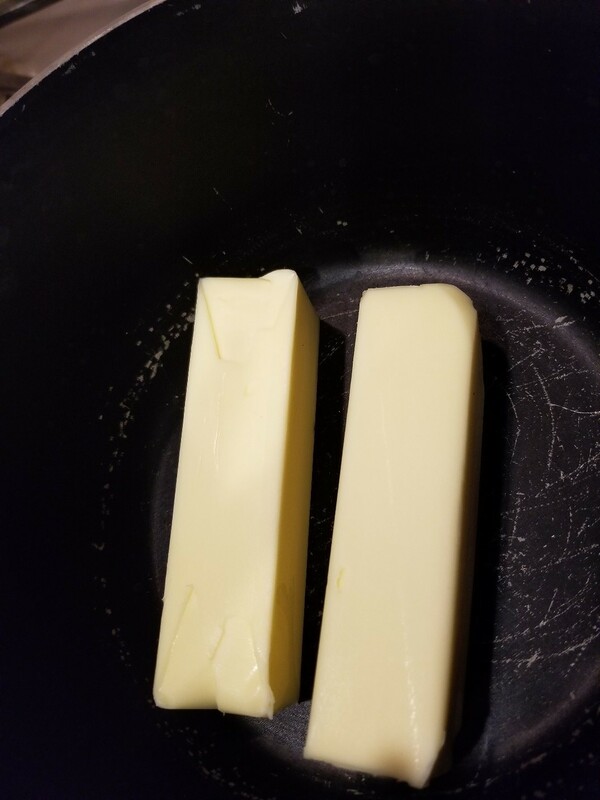 Preheat the oven to 300 F and then melt 2 sticks of butter. 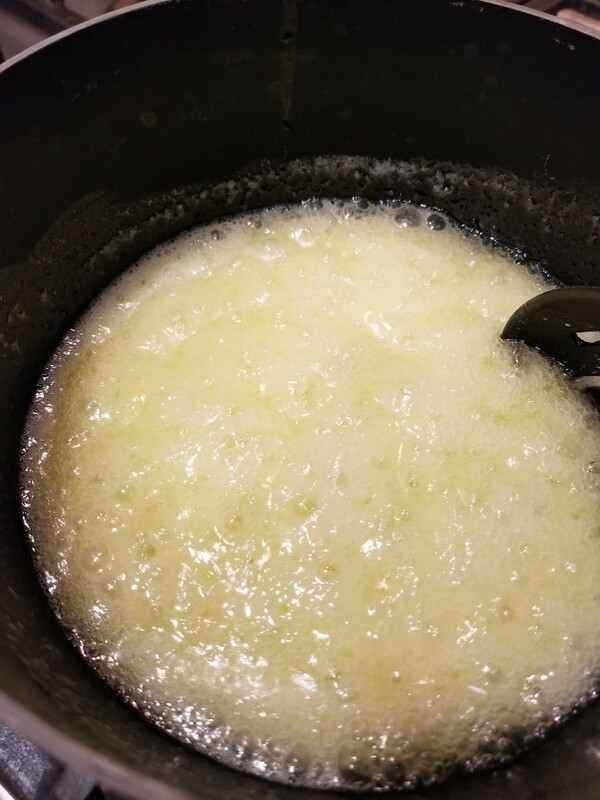 Once the butter is melted add 1/2 cup of sugar. Mix continuously until sugar is dissolved and bring to a simmer. Simmer for 3 minutes while you keep stirring. 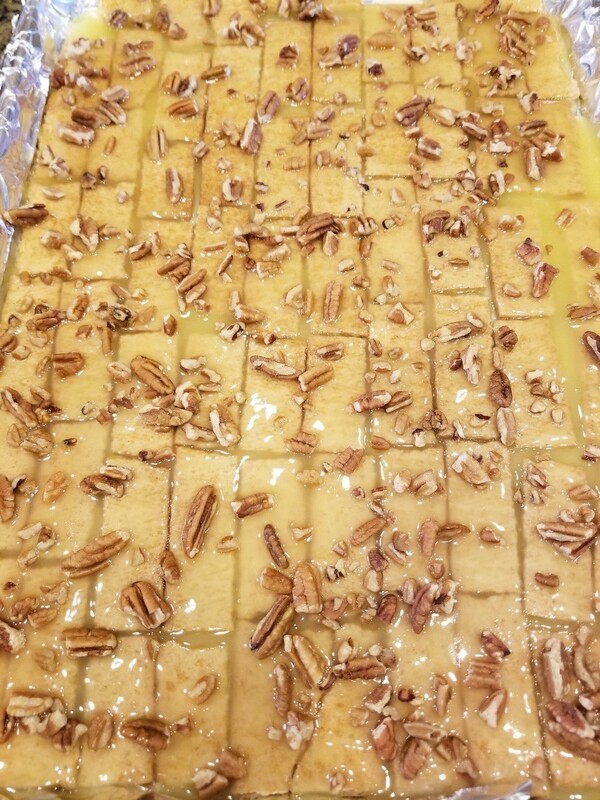 Pour the sugar/ butter mixture over the graham crackers and sprinkle the pecans over the graham crackers. Bake the graham crackers for 10 minutes. Once the graham crackers come out the oven let them cool but not completely. 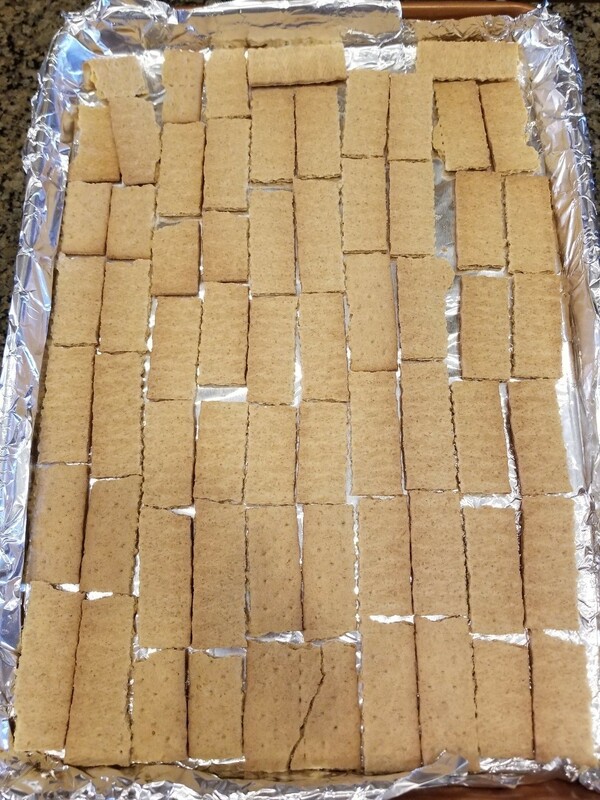 They need to be cool enough to handle so you can separate the graham crackers from the aluminum foil. If you wait too long to do this it is really difficult to get them off the foil. That is it! These are so addictive and yummy you will be making these for every party you have. Hope you enjoy them as much as I do!